Two cornerstone events set for July 2019 – ICAST in Orlando, FL and Tenkara Summit in Boulder, CO.
Click on POSTER for all current details . . .
ICAST 2019 is being held July 9-12, 2019 in the North/South Building at the Orange County Convention Center in Orlando, Florida ICAST, the world’s largest sportfishing trade show, is the premier showcase for the latest innovations in fishing gear, accessories and apparel. ICAST is the cornerstone of the sportfishing industry, helping to drive recreational fishing product sales year round. Click on POSTER for current details . 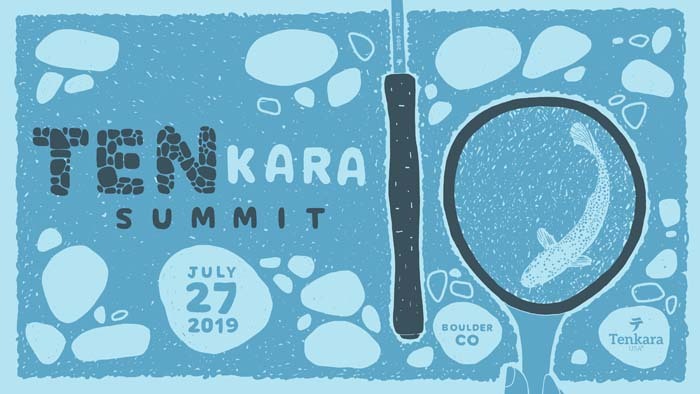 . .
On July 27th we are hosting the 7th Tenkara Summit, which this year also celebrates our 10th anniversary and 10 years since we introduced tenkara to the US.